Research and Musings: Look Ma, I did woodworking! 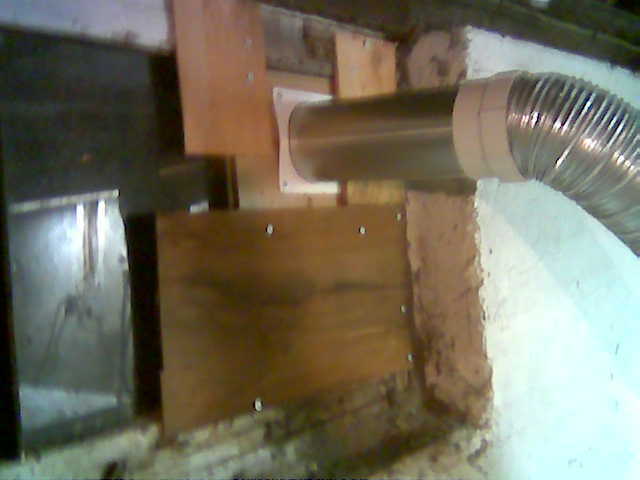 Yes folks, thanks to my tireless work I managed to cobble together this rather sad and comical excuse for a dryer vent. The hole was already present, and had been boarded up by the previous owner. I'm pretty sure this hole is where he was venting his dryer. So there it is, I took some scrap wood, and MADE something!